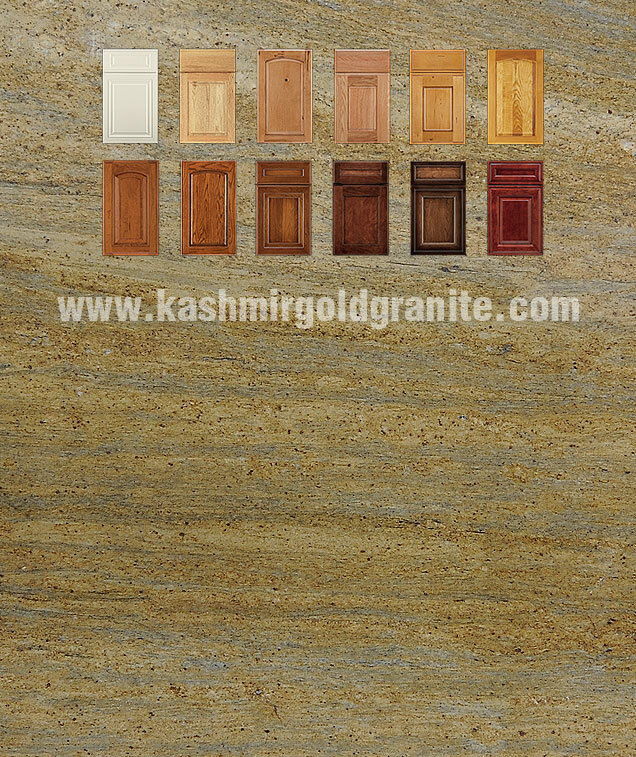 Photo Details: This gorgeous gold Kashmir counter top is one long, smooth masterpiece of workmanship. 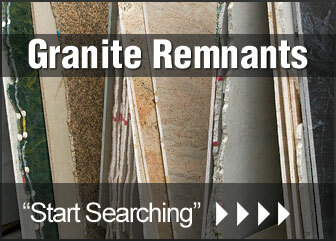 The different shades of gold and brown in the Kashmir granite are highlighted beautifully by the dark brown cabinetry. 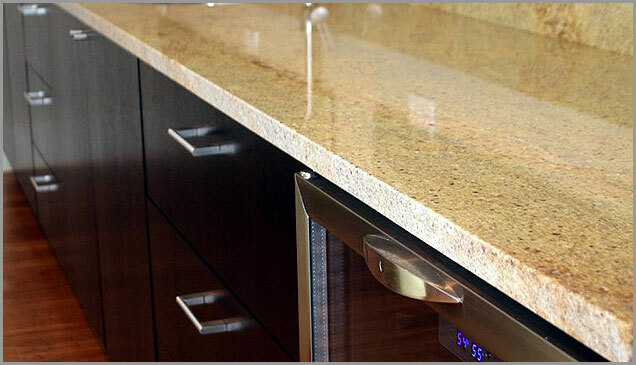 The modern stainless steel drawer pulls and appliances are the perfect complement to the gold granite slab. The polished hardwood floors provide the perfect foundation for this modern look, carrying the different flecks of color in the Kashmir gold granite throughout the room.